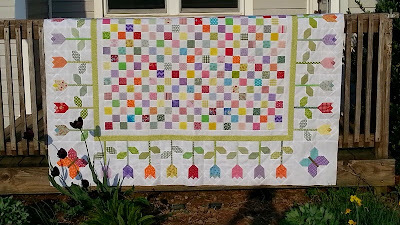 I made so many rag quilts that I ran out of batting. So Tanya bought me a roll of batting and she told me I could cut some of it up. So I sat down and cut blocks out my wife came back in the room and she asked what happened to the bolt of batting and I pointed at the box below. I cut up the whole bolt! As of the posting of this post I have emptied half of the basket out already may need a new bolt soon. Here are some of last weeks link ups. Thank you for visiting LAFF please link up and visit some of the fantastic sites. 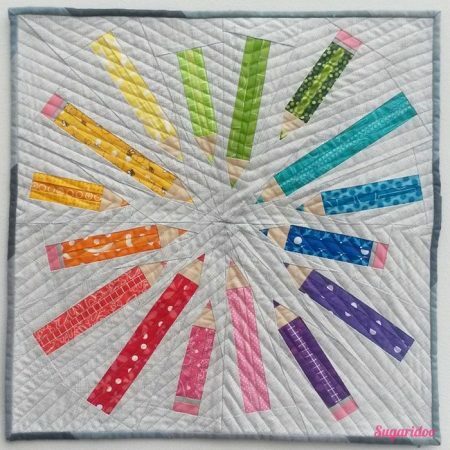 It is time to start cranking though the rag quilts today. I still have one full box full of cut up pieces. Today I am showing off 5 of them. Sadly only the first picture looks good I need to work on better lighting and maybe clean the lens of my Camera some. Its amazing how fast sewing these things together go after you get into it. It takes me only about 2 hours to sew the X's and then Sew them together. I bet it takes Tanya longer to cut them though she says its easier to cut then to sew and I don't agree with that. Theses pictures are from a few weeks back. 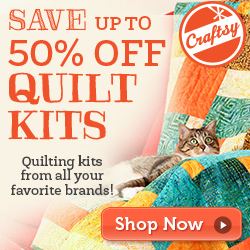 We have been working our way though a huge pile of pre-cut rag quilt bundles we made. 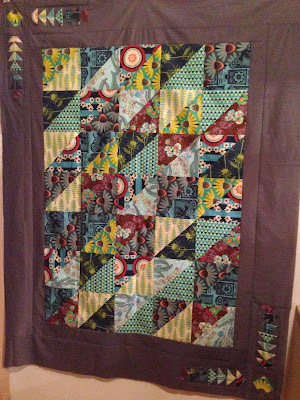 I have managed to make a few pieced quilts between not enough to keep me happy though. 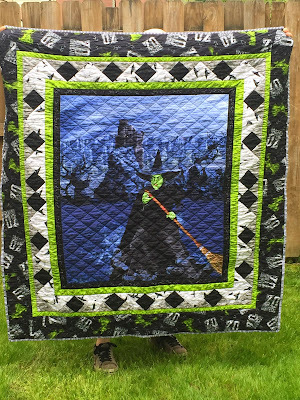 All of the quilts on this page are completed in a pile ready for pictures and I think a couple has already had completed pictures but wanted to share my works in progress. Thanks for stopping in and checking out this quick post. Here are some great linkup from last week. Totally Wicked - Every Thing is Coming up Rosie. Now it is time to link up what you did. 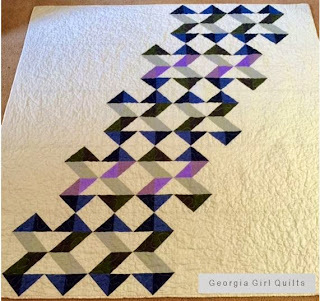 This is a simple patchwork quilt from Joel Dewberry Birch Farm collection. 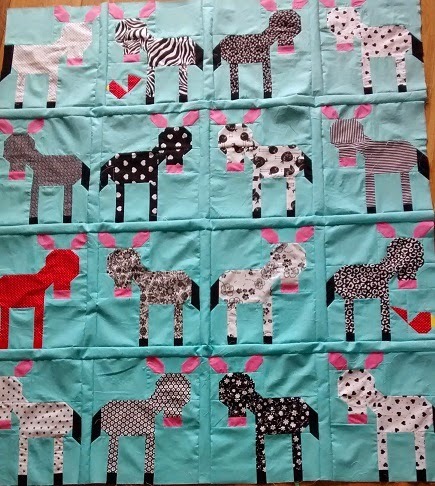 Richard doesn't care for this quilt, because of it's simplicity. 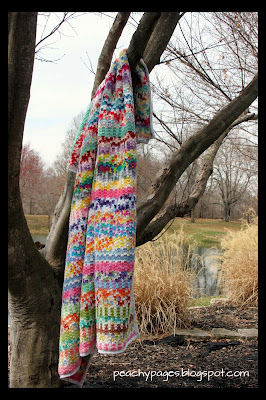 I love the colors in this fabric. The back and binding are the dutch oven in egg blue. 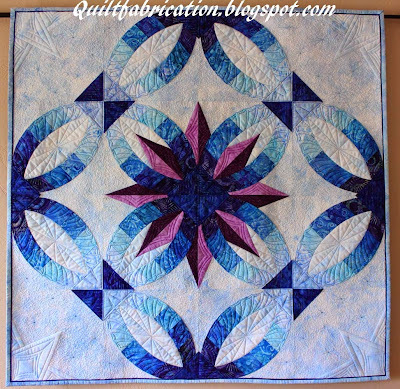 Richard though this quilt was boring because it was just simple patchwork. 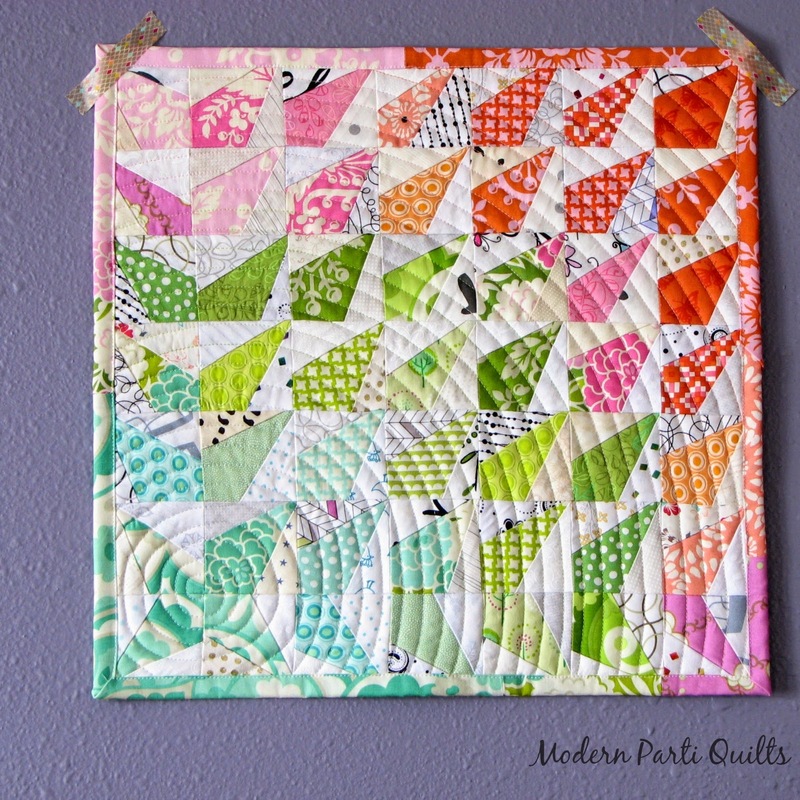 The fabric from this quilt is from Joel Dewberry Birch Farm. The back of the quilt is a Kona bone. The binding is super scrappy from leftover fabric. Life has been crazy at our household lately. We have been busy trying to get some yard work done. We started 3 raised garden beds, and tilled the rest of our garden spot for a traditional garden. 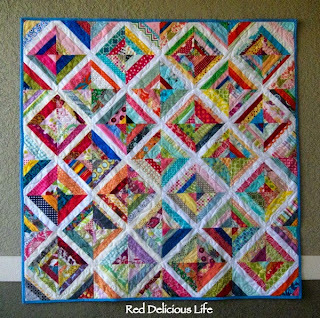 The only quilting we have done lately is rag quilts, there are a lot to take pictures of, when we find time. Rebecca turned 17 and has changed schools recently. Jared earned his Arrow of Light in Cub Scouts. Most of this post was written by Tanya but I Richard went though and found some pictures for it. I want to point out that not only did Jared earn his arrow of light but Tanya being the great webelos leader that she is has 5 boys this month earning their arrow of light she deserves a pat on the back. Any way Jared Mom and I are proud of you. There is slightly less than a month until I will be home full time. I am looking forward to not working crazy night schedules and being able to do stuff with the family. It is really hard to try to cram everything with the family into the weekend, because I hardly see the older kids more than a hour or so on weekdays. 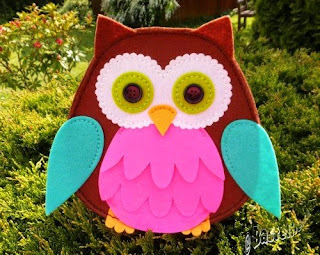 There are tons of home improvement projects and deep cleaning, and hopefully a little time to actually sew. I think I have used my new sewing machine on one quilt. Richard has used it tons, and really likes how fast it is. Here are some of the fantastic linkup's from last week. 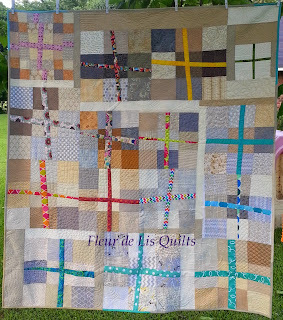 Please link up and share what you have been working on and visit some of the wonderful quilts that are linked up.